Very easy and very good - almost unexpected. The simple addition of freshly ground black pepper adds the perfect kick. Very low in fat - very low in carbohydrates. Serve a basket of these treats at a party and watch them disappear! 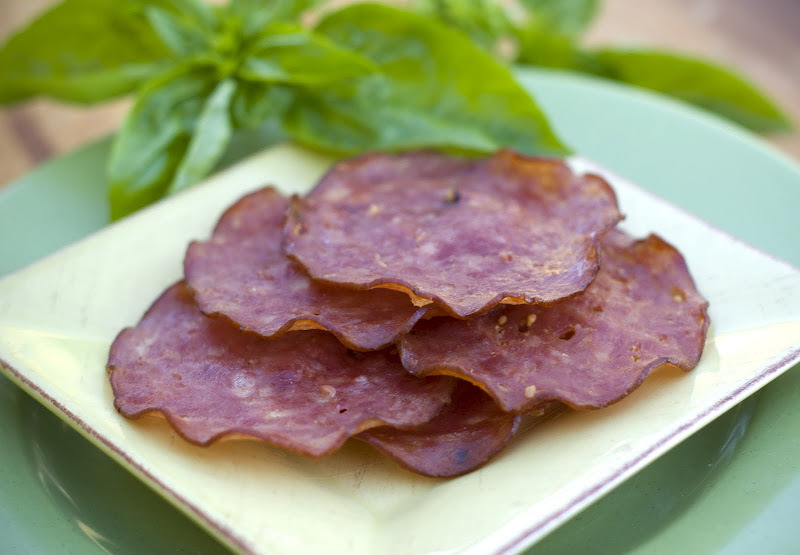 Place salami slices in a single layer on a baking sheet. Bake 15 to 20 minutes, until crispy. Transfer to paper towels to drain and cool to room temperature. Season with black pepper. This entry was posted in Appetizers & Party Food, Bariatric Recipes, Genius Snacks for Super Bowl and tagged Appetizers & Party Food, woo woo.